In a university known for its diversity, the threats made on Wednesday morning were shocking and out of place. 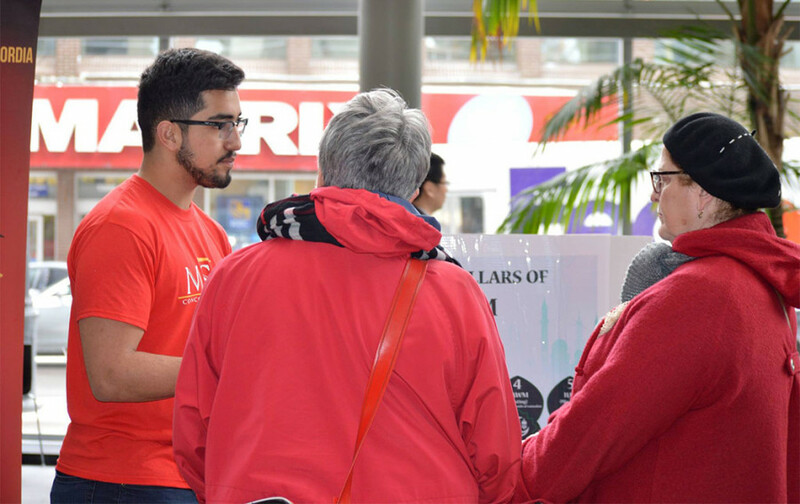 They represent a disturbing effort to intimidate the campus community at large, and to target Concordia’s Muslim student population during Islam Awareness Week. The letter containing the threats mentions a complaint made against the MSA to the student union. However, the association has not received any complaints and we would like to emphasize that we are committed to promoting inclusive and welcoming spaces and fully support the university’s rights and equity policies. Furthermore, the MSA stands shoulder to shoulder with other faith groups, and remains committed to promoting safe and respectful communities. We have an open-door policy and welcome feedback or concerns and are committed to working with concerned parties to rectify any issues that may arise. Unfortunately, we also feel the need to highlight that policies taken in our neighbouring country, and an increase in the number of reported hate crimes within our own country—including the tragic terrorist attack in a Quebec City mosque a few weeks ago—makes Wednesday’s bomb scare mentioning Muslims not a surprise. Canada is by no means immune to this rising hostile political climate, where sadly even a largely symbolic anti-Islamophobia motion like M-103 is being met with opposition. As students, we often focus on exams and deadlines and do not realize how much we support each other. The Concordia community came together and we received great support from clubs, organizations, and individuals. An unfortunate event brought us together and made more people aware of the issue of Islamophobia. We do acknowledge the safe environment that Concordia university is, but as we witnessed we are not immune to intolerant individuals or organizations. The solution—or at least one of them—is to keep being open-minded and push for more interfaith dialogue. University is a place where we can find people from all over the world. It is the perfect place to discuss and understand one another in our differences, and to combat stereotypes and discrimination as much as we can.